Do You Fear the Vet’s Office as Much as Your Pet? The veterinarian’s office is no one’s favorite. Cats and dogs are infamously adverse to the very word. Maybe bunny rabbits and birds dislike receiving veterinary care as well, but it is much easier to wrangle a fluffy bunny into its cage then to crate a cat. Some dogs need to be carried bodily into the office from the car, making the whole process awkward and difficult for the pet owner. So why go to the veterinarian’s office except for life-threatening illness or injury? You should pursue regular veterinary care for your house pet because it improves their quality of life. The American Veterinary Medical Association (AVMA) has found that preventable diseases in pets are increasing while veterinary visits are decreasing. Your pet’s veterinarian is a professional who can give advice, preventive exams, and emergency care to keep your pet healthy. When asked, veterinarians love to give pet food suggestions, as do all pet owners. They can also give advice on: how often to bath your pet and other grooming necessities; dental cleaning; heart worm and parasite medicines, and pain management for older pets. Regular bathing may seem an odd preventive measure. But a dog’s coat can develop burrs and mat if not groomed properly, resulting in the hair pulling on their skin and causing pain. For cats, they need to be brushed regularly to lessen hairballs, which can cause internal blockages. Following recommended veterinary care adds up to a heathy pet. Pet wellness exams focus on maintaining a pet’s optimal health. 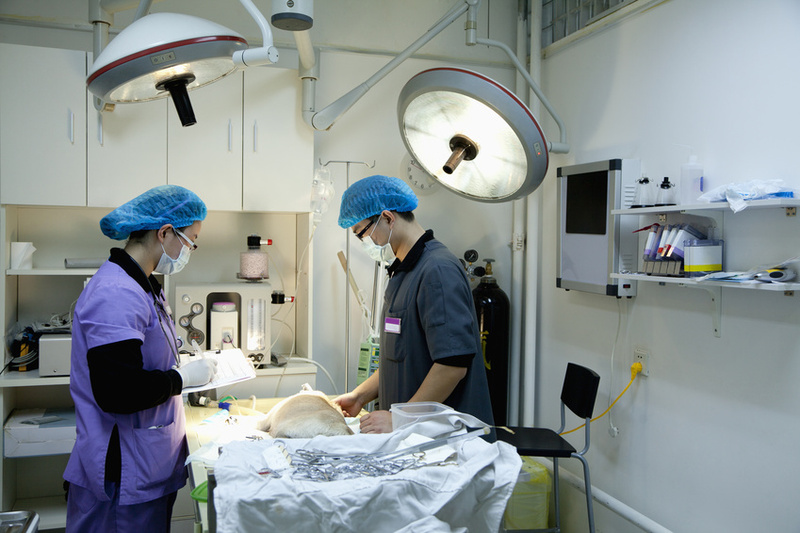 Veterinary care may include checking the animal’s heart, lungs, coat, skin, eyes, ears, etc. Our pets cannot speak and tell us when something is hurting, so these checkups are a good way to catch a possible problem before it causes irreparable damage. At a minimum, dogs, cats, and rabbits under the age of 10 need to see a veterinarian once a year; dogs and cats older than 10 years need to go in twice a year. Emergency veterinary care is required if your pet ingests something poisonous; your bird cannot pass an egg and is bleeding; your pet is in labour and is having difficulties. There are other cases when an emergency visit is necessary. There are some cases when emergency care could have been prevented or symptoms lessened, such as with animal heart disease, diabetes mellitus, and parasitism.In cases where special equipment is needed, your regular veterinarian office can refer you to an animal hospital where your pet can receive specialized care. Our pets become a part of our families. Approximately 37.2% of all homeowners in the U.S. own a dog, and 32.4% own at least one cat. Do not let their fear of veterinary care keep you from keeping them healthy and with you for years to come. This entry was posted in Animal hospital in north carolina, Emergency vet care, Veterinarians greensboro nc. Bookmark the permalink.